mdf snowmen craft shapes - 2mm thick. 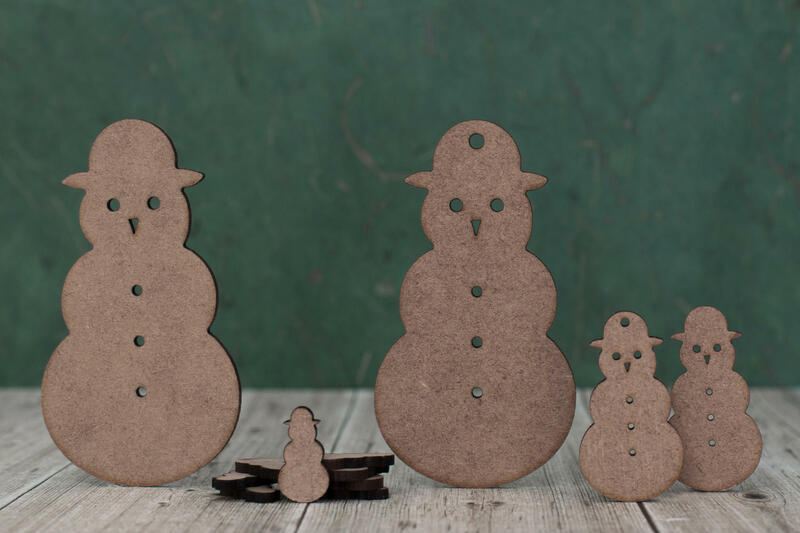 2mm thick mdf snowman craft shapes, Ideal for your Christmas craft projects and decorations. If you are in need of thin, easy to paint and good value for money Christmas shapes then these snowmen are a perfect choice.